The body/bowl is turned first, see previous pages on bowl turning. 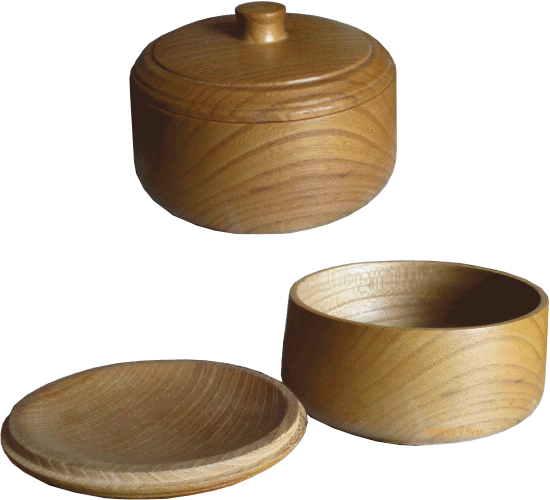 The lid/top is turned to form a cylindrical blank. A small rebate is turned on the inside edge, using a flat scraper. 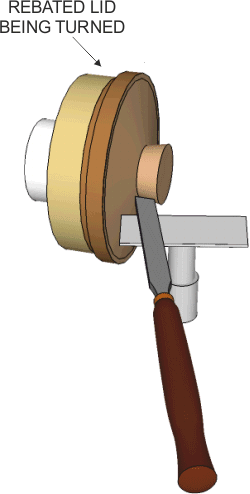 The lathe is stopped regularly, so that the bowl can be pushed against the rebate. 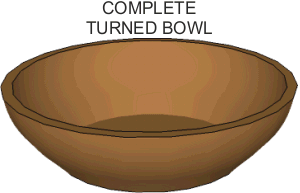 Turning is repeated until the bowl pushes on to the rebated lid, giving a reasonably tight fit. 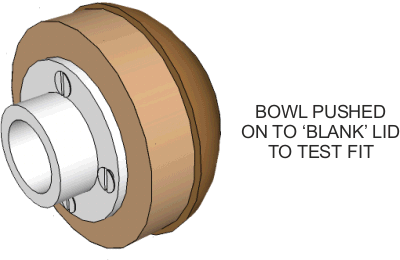 This means that the completed lid will eventually fit the bowl perfectly. A piece of soft pine is turned with an inset. The rebated lid is turned around. The rebated lid should ‘tap’ firmly into the inset, with a mallet. This must be a tight fit, as the lid and pine inset will rotate at high speed on the lathe, whilst under the added forces of being machined with lathe tools. Now the lid can be turned to the desired shape. When the lid is finished, after turning, sanding and varnishing, it is removed from the face plate and the pine is also removed using a chisel to split it along its grain. 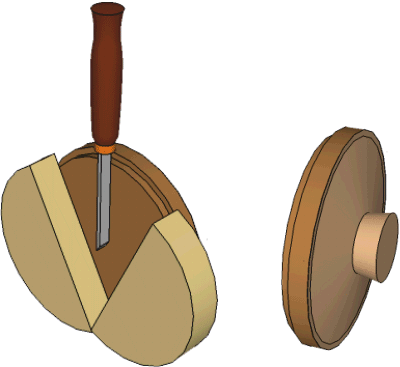 If the turning has been accurately completed, the lid should fit the bowl perfectly and the grain of the bowl should match the grain of the lid.